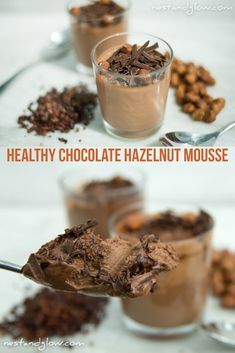 How to make an easy healthy chocolate mousse without avocados and instead with coconut milk, cocoa and hazelnuts to give a Nutella flavour. This recipe is vegan, gluten-free, paleo, keto and sweetened with fruit. This is not a low-calorie recipe but a no empty calorie recipe as it’s full of nutrition. 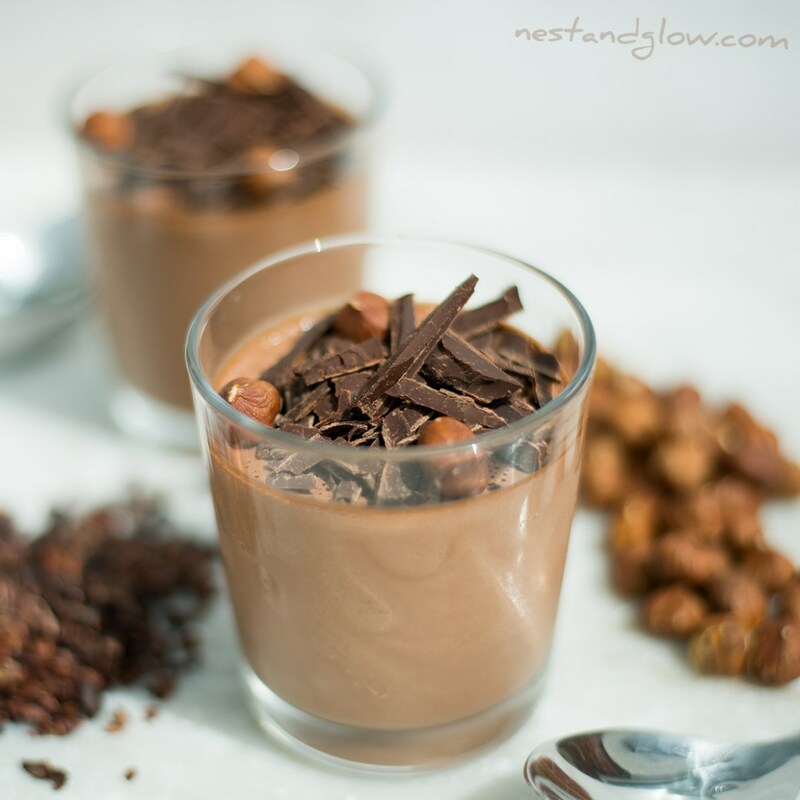 Try this healthy chocolate “Nutella” mousse today! Called Nutella to describe the taste but it’s free of sugar, milk and palm oil. Topping suggestions; Chopped chocolate, hazelnuts and cacao nibs. Soak the hazelnuts in water overnight, or for at least an hour. Place everything else apart from the toppings into a blender. Blend until all the dates, nuts and coconut milk are smooth. Will take a few minutes and don’t be concerned if the mixture gets slightly warm. Pour into serving dishes or ramekins and chill for a few hours or overnight. Sprinkle with chocolate, hazelnuts or any toppings you like and enjoy within 3-4 days. 0 Response to "VEGAN NUTELLA COCONUT HAZELNUT CHOCOLATE MOUSSE"